BBC One has released the first trailer for its animated retelling of Richard Adams’ heart-wrenching children’s book Watership Down. It tells the story of a band of good-natured rabbits in a desperate search for a better life, and all the tragedies they encounter along the way. You can check out the trailer in the post below! Set in the idyllic rural landscape of southern England, this tale of adventure, courage and survival follows a band of rabbits on their flight from the intrusion of man and the certain destruction of their home. Led by a stouthearted pair of brothers, they journey forth from their native home of Sandleford Warren through the harrowing trials posed by predators and adversaries, towards a promised land and a more perfect society. The all-star cast includes James McAvoy (Glass, X-Men: First Class), Olivia Colman (The Crown, Fleabag), Ben Kingsley (Operation: Finale, Iron Man 3), John Boyega (Star Wars: The Last Jedi, Attack the Block), Nicholas Hoult (X-Men: Days of Future Past), Gemma Arterton (The Girl with All the Gifts) and Daniel Kaluuya (Get Out, Black Panther). The series, written by Tom Bidwell (Bafta-nominated “My Mad Fat Diary”) and directed by Noam Murro (300: Rise Of The Empire). The four-episode (each an hour-long) series is a co-production between BBC One and Netflix and produced by 42 and Noam Murro’s company Biscuit Films. The drama is created in CG by the animation team, led by Pete Dodd (Fantastic Mr. Fox, Frankenweenie) and Hugo Sands; along with the animation studio Brown Bag Films, based in Dublin. It will be distributed internationally by ITV Studios Global Entertainment. 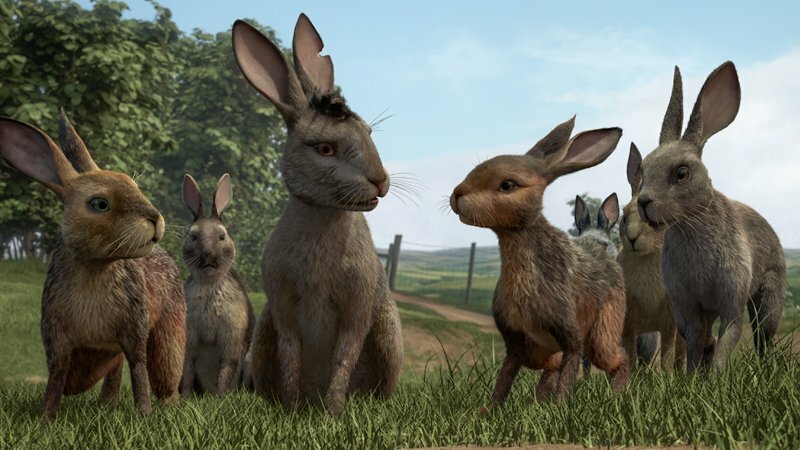 Watership Down will premiere December 22 on BBC One.